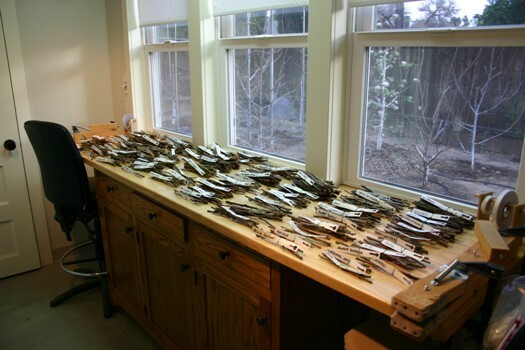 The first load of apple rootstocks have arrived and are safely trimmed and in the refrigerator, and for the next few weeks I’ll be slaving over a hot grafting bench grafting dozens of varieties represented by these scionwood cuttings. The grafted trees are going all over the country and all over the world again, most of them to places where apples should not grow. 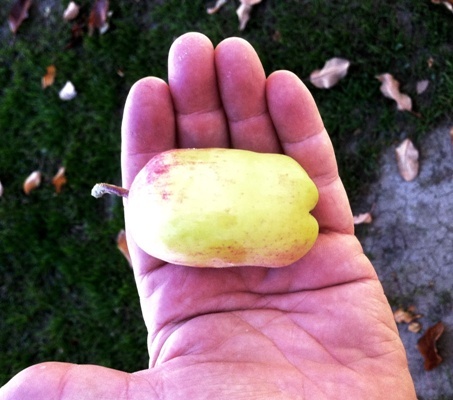 This photo shows what a properly pollinated Anna and Dorsett apple should look like. First of all, they’re both humongous, which comes from thinning the overproductive tree hard. When the fruitlets are about the size of a grape I thin them to one per cluster with a hand’s-breadth between clusters. Second of all, both blossom so early that there are no other pollinators. Ein Shemer was marketed as a pollinator for Anna, but it blossoms two weeks too late (and is a lousy apple to boot, I don’t know why it exists any more). 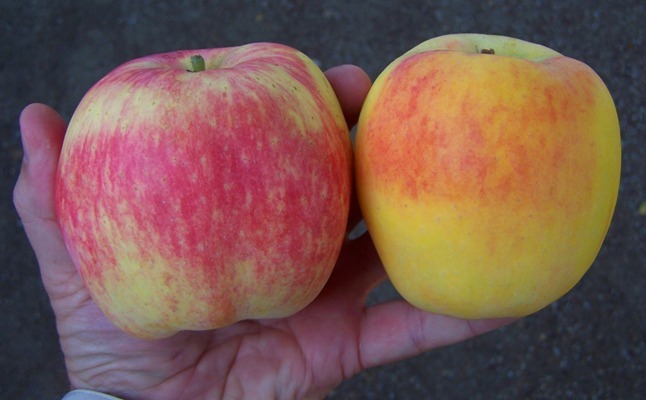 But Dorsett Golden’s blossom does overlap Anna’s, and it’s a decent apple in it’s own right. This pathetic Anna was not pollinated and thus is deformed. The tree will put out a load of these and the taste will be OK, but the true potential of both varieties will be if they pollinate each other. This is what is meant when a catalog says “needs a pollinator for greater yield”.